They represent some of the finest growers in the world, taking great care to manage their fruit in a way that will optimize their investment, while maximizing returns to their growers. Shipping all over the world, delivering consistent quality produce is important in maintaining their brand reputation. 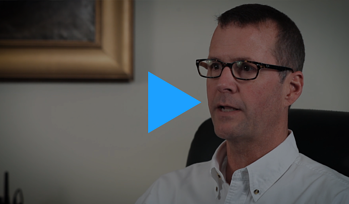 CEO Ward Dobbins, tells us how using the advanced sorting technology of Spectrim is revolutionizing their business, by helping them grow and remain efficient. H.H. Dobbins sorts, packs and distributes apples on a global scale. Technology has enabled them to make better use of the labor they have at hand, which is particularly important due to the limited labor available in the area. Since implementing their Spectrim sorting technology, the labor per unit cost has gone down and the units per man hour have gone up by approximately 15% with efficiency up 16%. When looking for a technology provider to partner with, H.H. Dobbins was looking for the very best available – they could see how valuable technology was going to be for their growers, as well as increasing pack-out, and to give customers the accuracy and consistency that they expect. Since installing Spectrim in the middle of 2017, they have seen that their pack-outs are up 3% from last year and their rejection rate went from 1% to 0.5%. The increased consistently and decrease in rejections is a win for customers, growers and the company. Spectrim has exceeded their rate of return in terms of investment, right from day one. Their operators have found the software very easy to use, and can accomplish what they set out to every day in their production plan. 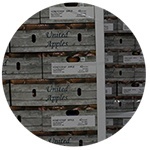 Inspectra is their technology choice for sorting internal qualities that are common to apples in their area (such as Watercore) – some customers see this as a premium, while other customers see it as a defect. Inspectra gives them the capability to separate based on internal properties and make sure each apple meets the customers expectations. Inspectra gives them the ability to separate and send apples to various consumers based on their needs, reducing risk and food waste. Technology is also enabling them to access more markets and pack more produce, H.H. Dobbins has the ability to spread the growers’ pack-out to the best markets possible, ensuring more produce makes it into the highest pack. Reliability and uptime are very important to H.H. Dobbins, with one hour of down-time costing up to US$ 1,200. With Compac, they haven’t seen this as an issue and the technology they rely on has been running well from day one. A lot of thought went into the layout of the packhouse, to make sure the design is gentle on their apples, but also allows them to be flexible in terms of what they are packing. Working with Compac designers to incorporate their needs with the capabilities of the equipment, which has come together to create the best solution for their company now and in the future. 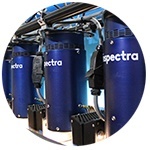 Investing in Spectrim and Inspectra technology has enabled H.H. Dobbins to create a more efficient packhouse, allowing them to sort more in less time which benefits customers and growers. H.H. Dobbins continues to grow, and is confident Compac is the partner that will help them continue to deliver world-class produce and stay competitive.